Super Junior (Korean: 슈퍼주니어), often referred to as SJ or SuJu (슈주), is a boy group from South Korea formed by SM Entertainment in 2005. 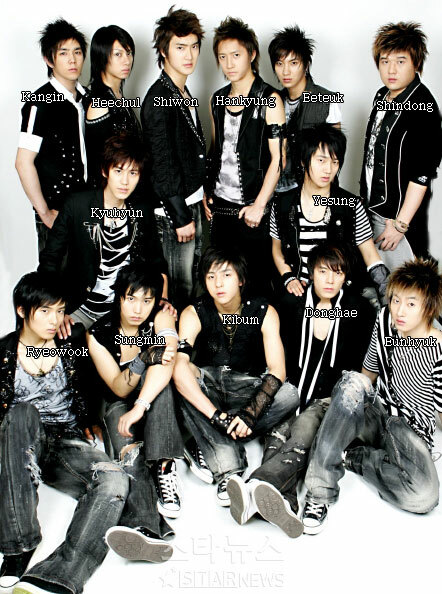 With a total of 13 members, they are one of the largest boy bands in the world. 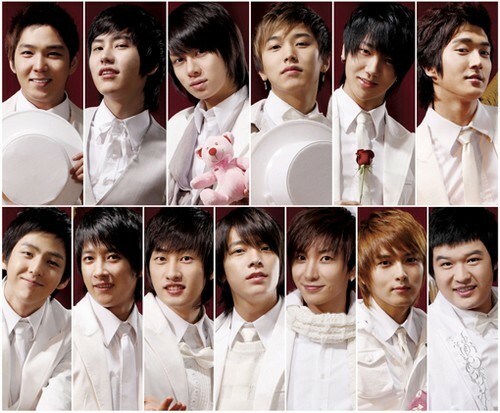 The group consists of Leeteuk, Heechul, Han Geng(Hankyung), Yesung, Kangin, Shindong, Sungmin, Eunhyuk, Donghae, Siwon, Ryeowook, Kibum and Kyuhyun."